If you are a Personal Trainer, Strength and Conditioning Coach, Sports Coach, or Rehabilitation Specialist, this one day conference is an exceptional professional development training seminar. A panel of World Class presenters offers their experience relating to the area of “Mobility and Movement”. All aspects of physical conditioning and preparation are addressed in this conference. If you are looking for high quality professional development training, you don’t want to miss this one time opportunity. Chad Benson, MSc, BSc, BPE, CSCS: Educated at the University of Victoria, Benson is the author of the “Great Balance” and Stability Ball book. During the 2001-2002 season(s), Chad was sub-contracted as the assistant conditioning coach for the Vancouver Canucks. Coach Benson has conditioned hundreds of national or professional level athletes in hockey, figure skating, football, lacrosse, rugby, soccer, tennis, basketball, motor cross, volleyball, & rowing. Benson has been a sport conditioning and fitness lecturer for the AOSSM, BCRPA, CATA, CFP, CSEP, BCRPA, Fit Rendez-Vous, IDEA, Infofit & the NSCA. Carmen Bott, MSc, BHK, CSCS: Carmen Bott is the founder and president of Human Motion Inc., an elite athlete performance and fitness education firm. Carmen has been in the health and fitness industry for over a decade and has become one of the most diversely trained exercise scientists in her field. She instructs at the post-secondary level in the areas of exercise prescription, testing, physiology and career development. She also serves as a consultant to several International and National level coaches, universities and professional athletes. As an Adidas sponsored sport-scientist and presenter, Carmen resides in Vancouver, British Columbia, Canada where she currently trains her clients and continues to publish and present topics related to performance and exercise science. Chad S. Brenzikofer, BA, CSCS: Since finishing his degree in Exercise Science, Chad has taken over 30 manual therapy courses, completed a one-year high velocity spinal manipulation course, earned his strength and conditioning (CSCS) credentials, and completed a massage therapy program at the Massage Therapy Institute of Colorado. In 2006, Chad became the first Kinetic Control accredited tutor in the United States. He is also a certified instructor for Performance Stability, has assisted Michael Shacklock of Neurodynamic Solutions, and has done consulting work with Al Vermeil, strength & conditioning consultant to the Chicago Bulls. Chad is the owner and director of Muscle Management Therapies, Inc in Denver Colorado offering Massage Therapy, Manual Therapy, and Fitness Training & consulting services. READ When does Daylight Savings Time Start in 2009? Loren Chiu, PhD (C), CSCS: Loren is currently a PhD candidate in the Musculoskeletal Biomechanics Research Laboratory at the University of Southern California. His research focuses on applying resistance training to optimize human performance. 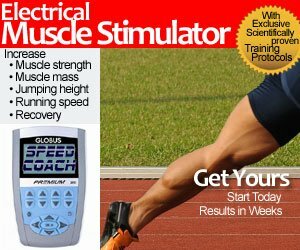 As a sport scientist, he integrates biomechanical techniques to study anatomy, physiology and the neuromuscular system. Loren is a consultant to coaches, performance training centers and equipment manufacturers. In addition to his professional interests, Loren is a two-time Canadian national champion in weightlifting, and has represented Canada at international competitions. Mike Durand, BSc, CSCS: Mike Durand is a Certified Strength and Conditioning Specialist with extensive experience with Division I NCAA schools and the NFL. Mike was a Strength and Conditioning coach for the Oakland Raiders in Super Bowl XXXVII. Durand coached with the Raiders in 1999, 2002 – 2004. His NCAA experience includes stints at Eastern Michigan University, the University of Utah and the University of Kansas. In 2004 Mike became the first full time strength and conditioning coach for a high school in southern California, becoming Director of Strength and Conditioning at Harvard-Westlake School in Los Angeles. In 2005 Durand was named American Football Monthly High School Strength and Conditioning Coach of the Year. Mike is currently the Director of Strength and Conditioning for Lakeside School, a private school, in Seattle, Washington. John Gray, MSc, CSCS: With over a decade of experience in exercise therapy and athletic conditioning, John has gained an excellent reputation for his approach toward “core stability” in treating low back pain, preventing injury, and enhancing athletic performance. John completed his Bachelor of Physical and Health Education degree from the University of Toronto and went on to work with the Clinical Mechanics Group to complete an interdisciplinary MSc degree in Biomechanics at Queen’s University at Kingston in Canada. In 2002 he returned to academics to pursue his PhD at the University of Waterloo, working with internationally renowned Spine Biomechanist, Professor Stuart McGill. Since 2002, John has been named an Educational Influential by the Institute for Work and Health. As a Certified Kinesiologist with the Ontario Kinesiology Association, he has specialized in working with athletes of all ages having current injuries or a history of injuries. Bert Sims, BSc, CSCS: Bert is the owner and operator of Dynamic Physique; an athletic performance and physical development company based out of Langley, BC. He has been involved in the athletics and fitness industry for over eight years. His clientele ranges from elite athletes, bodybuilders, and power lifters to fitness enthusiasts and weekend warriors. Bert’s methods are based in practicality, science and individuality. He strives for his clients to efficiently move with strength, speed and agility; perform highly against competition or at their activity and with optimal health and energy while benefiting their life. Scott Vass, MHK, RK, CSCS: Scott has worked as a strength and conditioning coach with high school, university, national-level and professional athletes for the past ten years. He began his career as the Assistant Strength and Conditioning Coordinator for Simon Fraser University athletics, and then spent two years working in orthopedic rehabilitation. Scott currently works at Level 10 Fitness in North Vancouver as an athletic development coach, as well as the coordinator of the Active Rehabilitation program. Scott is also employed by Wrestling Canada as the Integrated Support Team Coordinator and strength & conditioning coach for the national and Olympic teams. Click Here to download the PDF application form and brochure. For more information on registration or the conference, please contact Head SFU Strength & Conditioning Coach, Derek Hansen via e-mail at dhansen@sfu.ca or by phone at 778-782-4059. NSCA and BCRPA continuing education credits will be available for this event. Register today! Seating for this conference is limited.